It floats on top of snow like a dream. Annual sales double each year. And it’s so easy to use, even a novice can get the hang of it in mere hours. If you’re guessing it’s the latest powder skis or a snowmobile, guess again: Think two wheels. These recognizable industry players will be sold in the mix with bargain bikes and the cream of the crop. Fat bikes can be purchased at big-box chain stores for as little as $200, while the top brands, like Borealis, sell for upward of $8,500. Additional rental options can be found at Jans Mountain Outfitters (1600 Park Ave, 435.649.4949, jans.com), Pedego Electric Bikes (1890 Bonanza Dr, 435.649.6663, pedegoparkcity.com), and White Pine Touring (1790 Bonanza Dr, 435.649.8710, whitepinetouring.com). 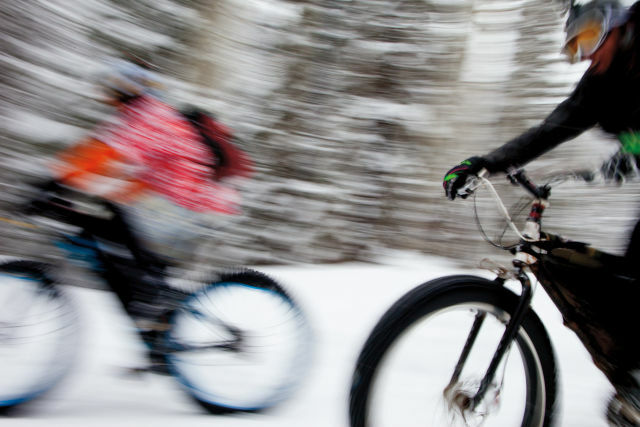 While the ski resorts around Park City do not currently accommodate fat bikes, there are more than 50 kilometers of terrain to pedal in the Round Valley area. These trails are shared with cross-country skiers, so recreationists need to play nice. “We like to think good friendly trail etiquette is always at the core of any winter sport,” says Mountain Trails Foundation Executive Director Charlie Sturgis. 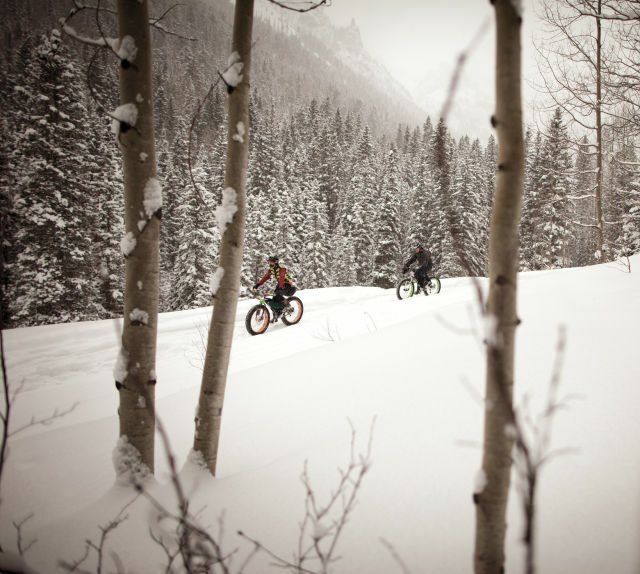 Snow biking is a fairly new sport, so it’s inevitable that it will continue to grow and evolve. For now, it’s just plain fun.